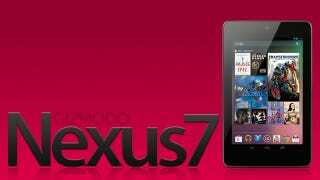 With the Nexus 7 now available, Android tablets are no longer poor iPad copycats. They're real, banging for your buck affordable and most importantly, really good. But to make it even better, you'll need to get some apps. Here are the best Android tablet apps. Plume: Sadly, the official Twitter app isn't exactly tablet friendly. Luckily, Plume, a highly customizable Twitter app, works well enough on Android tablets so you won't miss Twitter on your Android tablet. Friendcaster: Friendcaster for Facebook is a much better tablet app than the official Facebook app, as it gives you real time Facebook notifications and includes all your most-used Facebook features like status updates, photos, messages, events, groups, checkins and more. IM+: Optimized for tablets, IM+ is an IM app that lets you chat with your friends on AIM, Google Talk, Skype, MSN, Yahoo, Facebook chat and others. Free. Netflix: All the joys of Netflix in your pocket, all the time-including the power to battle that always growing Watch Instantly queue. Streaming's silky smooth over Wi-Fi, less so over 3G, but the app itself is indispensable. Free. MXPlayer: MXPlayer is quite possibly the best video player for Android tablets because it packs a ton of features and can play a bunch of different video file formats (avi, mkv, divx, etc.) under the sun. IMDb: Who's that guy? Where's he from? Should I even watch this movie? Solve all your movie questions with Android's official IMDB app. It's basically IMDB's website optimized for your phone—which in this case, is a good thing. Free. Movies: Pretty simple: you like knowing the movies that are playing in theaters around you, right? Flixster's got local listings and showtimes, along with trailers and reviews from Rotten Tomatoes. Plus, you can manage your Netflix queue! Free. Kindle: Just because you don't own a Kindle doesn't mean you shouldn't be buying Kindle ebooks—especially when Amazon has an Android app that's dead simple to use. The e-book wars aren't quite over, but no one will judge you for siding with Amazon. Free. Crackle: Sony has released Crackle, an app that streams full-feature movies and popular TV shows to Android for free. For free. For free! We're talking popular TV shows like Seinfeld or big times movies like The Da Vinci Code and all completely free! The app is the same ad-supported streaming service as the Crackle.com website (and iOS apps) and has a decent catalog from Columbia Pictures, Tri-Star, Screen Gems, Sony Pictures Classics and other studios. Camera Launcher: Camera Launcher lets you access the camera in the Nexus 7 and flip it into a dedicated camera app so you can take self portraits and/or tickle yourself silly with funny faces. It records video too. Stitcher Radio: Stitcher Radio plays over 10,000 radio stations, shows and podcasts from the best of NPR, CNN, Fox, BBC, Freakonomics, Adam Carolla and more. Nesoid: I can't think of anything better than playing old NES games on your brand new tablet with the NesEmu emulator. Who needs fancy graphics! Give me my childhood favorites. $4. Samurai II: Vengeance: Absolutely stunning anime/comicbook-style graphics plus controls that actually make sense plus a ton of ways to slice dudes in half plus samurais plus swords equals a ridiculously engaging Android game. Tiny Tower: IA free 8-bit style game that lets you channel your inner landlord. You build floors on a tower to attract "bitizens" to live in it and then control their lives (manage, hire, give a job, evict). It's like SimCity but actually fun. Pulse News: A news aggregator that beautifies the way you stay up to date. You'll see the latest updates from different news sources and enjoy swiping away on the big ol tablet screen of yours. Evernote: If you need more features in a "note taker", Evernote is simply a powerhouse of a note taking app. Not only can you jot down notes but you can take pictures, record voice notes and upload files to remember all on their cloud. Free. Astrid Task/To Do List: No other app gives as much detail to to do lists as Astrid. Its "advanced" options lets you set priority levels, integrate with Google Calendar, sync with Google tasks, and set up tags, alerts and periodic reminders. Astrid keeps it easy, for the most part, but also offers deeper settings if you're the obsessive, customize-everything exactly-how-you-want-it type. Free. CNN: You get to watch live video, receive breaking news notifications, tune into CNN radio, use a customizable widget and more. The Android tablet app is really well designed too. Free. HBO Go: If you're smart enough to order HBO with your cable, HBO Go will let you watch every episode of every season of The Sopranos, The Wire, Deadwood, Curb Your Enthusiasm, Rome, and any other awesome show HBO has ever made. Oh, and you can stream movies too. Free. WatchESPN: If you have the right cable provider, you can stream ESPN, ESPN2, ESPN3 and ESPNU straight to your tablet. Works over 3G or Wi-Fi and lets you watch all the biggest sports moments on the go. A must have for any sports fan. Free. File Manager HD: If you like to dig a little deep into whats going on in the innards of your Android tablet, File Manager reveals the file structure of the OS so you can find files, transfer stuff around and all that good stuff.